The little blue cottage with a wrap-around deck in the parking lot of the Kinipopo Shopping Village is home for Sacred Waters Healing Arts. YES! We offer COUPLES – or two, together – MASSAGE in our convenient Kinipopo Village “Oasis” studio. Come leave the outer world behind as you sink into self-nurturing care. We also happily TRAVEL to your location, if you prefer. And, have you tried BEACH or nature Lomi? Relaxing to birdsong and waves just can’t be beat! Darbi Shakira Freeman, fell in love with the life enhancing benefits of massage as a teenager. Making her home in Kaua'i for over 35 years, she raised her family while pioneering direct contributions to environmental sustainability, conscious and compassionate education, and wellness enhancement. Combining a natural gift of sensitivity with depth, skill, and profound awareness of the body as a repository of experience, energy and thought, Darbi’s passion is engaging the life-force in each person, honoring it fully and inviting it into greater freedom. Skillful human touch is unparalleled in its range of benefits: from the physiological cleansing of waste and toxins and increase of circulation and nutrition to the tissues; to improving muscle tone, reducing tension, inflammation and pain; to releasing mental and emotional contraction and even, in some cases, wakening spiritual states of transcendence. Excited by the potential for wellness in understanding that "the body cannot lie" and is filled with inmate intelligence, Shakira has studied her craft with devotion for decades and was initially licensed through The Pacific Center for Awareness and Bodywork. 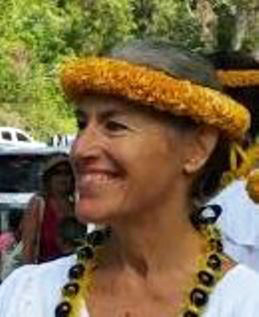 Described as a “bodywork artist” and highly esteemed for her mindful approach, consistent positive results, and healing atmosphere of genuine Aloha, Ms. Freeman warmly welcomes you to Sacred Waters Healing Arts! Originally from France, spent 15 years in California, and 6 in Kaua”i, before moving on to New Zealand and beyond. 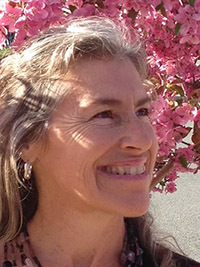 Her love for humanity, the earth, and the evolutionary process in healing guided her to create healing centers, artistic projects and sustainable community forums along the way. In December 2014, Yemaya sold Sacred Waters Healing Arts to Darbi Shakira Freeman, joyfully entrusting her creation and her former clients to a fellow master of deep sensitivity, skillful in holding space for healing, on many levels. Committed to excellence, our practitioners are highly skilled and devoted to serving you with the utmost of care. Thank you for your patronage. Enjoy the most that Life, and Kaua’i, has to offer by calling or visiting us today. Me ke aloha! Kinipopo Shopping Village Kauai © All Rights Reserved.